This book is about the struggle to become conscious. It is about overcoming addictions—to food, drugs, work, etc. It is about the wisdom of the body, initiation rituals, dreams. It is about relationship and the search for personal identity. 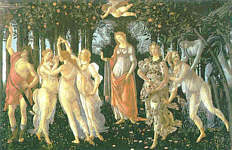 It is a celebration of the feminine, both in men and in women. It is about becoming free. Please join us in this 8 unit course. "We have lost our containers; chaos threatens"
Using the concept of the process of psychological pregnancy (the virgin forever a virgin, forever pregnant, forever open to possibilities), Woodman examines ways of restoring the unity of body and soul, suggesting that immortality is a reality contained within mortality. Drawing on her Jungian analytic practice with its analysis of hundreds of dreams, she explores the search for personal identity and relationships, including celebration of the feminine both in women and men. She begins with the symbolism of the chrysalis, then discusses abandonment in the creative woman, psyche-soma awareness, the ritual journey, further thoughts on addiction, and yin, yang, and Jung. She concludes with a section on modern initiation. The woman who is virgin, one-in-herself, does what she does not for power or out of the desire to please, but because what she does is true." Here is writing with a thinking heart, blending art, literature, religion and extensive case material. 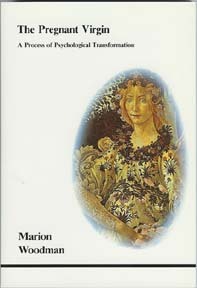 Continues the author's pioneering work on the nature of the feminine in both women and men. "A life that is truly lived is constantly burning away the veils of illusion, gradually revealing the essence of the individual." 4. the meaning and role of initiation in the treatment of eating disorders. "Both men and women are searching for their pregnant virgin. She is the part of us who is outcast, the part who comes to consciousness through going into darkness, mining our leaden darkness, until we bring her silver out." Marion Woodman is a Jungian analyst, teacher and author of The Owl Was a Baker's Daughter, Addiction to Perfection: The Still Unravished Bride, The Pregnant Virgin: A Process of Psychological Transformation, The Ravaged Bridegroom: Masculinity in Women, Leaving My Father's House: A Journey to Conscious Femininity, Conscious Femininity: Interviews, Dancing in the Flames: The Dark Goddess in the Transformation of Consciousness (with Elinor Dickson), Coming Home to Myself (with Jill Mellick), The Maiden King (with Robert Bly), and Bone: Dying into Life.